Any observer of Middle East politics quickly learns the meaning of duplicity. 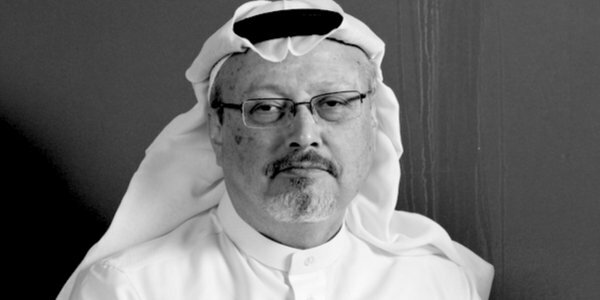 The supposedly dissident Saudi Arabian journalist, Jamal Khashoggi, entered the Saudi consulate in Istanbul on October 2 but didn’t come out in one piece. It is alleged that he was murdered by a team of Saudis flown in for that purpose, and who left rapidly after completing their work. Turkish sources claim that among their luggage were bone saws to dismember the victim’s body. It is clear that the Saudi authorities have committed a criminal act to suppress a dissenting voice. That Saudi Arabia suppresses opposition is no surprise. The apparent murder of a journalist such as Khashoggi, though appalling, is hardly unusual in the region. The changing stories emerging from Saudi show a ruling group unable to grasp that the western media could be outraged by the murder of a journalist who wrote for a major western newspaper, the Washington Post. After all, it happens all the time at home. Firstly, it was claimed Khashoggi left the consulate a free man. CCTV film released by the Turkish authorities shows Khashoggi supposedly exiting, though in the space of ninety minutes he appears to have grown a mop of dark hair. We were then given the supposed admission that Khashoggi had indeed died in the consulate after engaging in a fight with fifteen men who were ‘rogue killers’ within the Saudi intelligence community. It is difficult to believe that an authoritarian regime would somehow be so lax as to permit serious and easily detected criminal activity by unauthorised personnel in the heart of one of its most sensitive consulates. The death of Khashoggi is more likely to have been a botched attempt to return him to Saudi Arabia than a deliberate attempt at murder. Saudi’s de facto ruler, Crown Prince Mohammad bin Salman (often known as MBS) has spent millions in propagating an image as a reformer. Up till now it has been money well spent. Politicians, academics and the media have swallowed his PR and hailed him as their favourite liberalising voice in the Middle East. Yet this is the man who has presided over the jailing of female dissidents and the execution of Shia clerics. The 2017 US State Department human rights report catalogued an extensive inventory of Saudi’s low regard for human rights and individual liberties, including arbitrary arrest and torture. In the eyes of some, allowing women to drive cars (when accompanied by a man) and to go to the cinema appeared to counterbalance launching a four-year war on neighbouring Yemen. That country has been devastated with uncounted civilian casualties and the destruction of infrastructure as MSB created the world’s worst humanitarian crisis today without achieving any of his vaguely stated goals. Turkey’s president Recep Tayyip Erdoğan has grasped this opportunity and is doing his best to destroy Saudi Arabia’s reputation. The two countries have never been good friends. In the days of the Ottoman empire Turkey ruled Arabia, and neither side has forgotten it. In the 2017 diplomatic conflict over Qatar and its support for Islamist terrorism and the Muslim Brotherhood, Saudi Arabia censured Qatar while Turkey took the Qatari side. Khashoggi had close links with Erdoğan’s Turkey. His fiancée, a Turkish diplomat, is the daughter of a former adviser to Turkey’s Islamist president. Khashoggi had started tweeting pictures of himself with Erdoğan advisers. He was also planning to start a Turkish centre, funded by the Turks and the Qataris, agitating for change in Saudi Arabia. Many of the dissenters he was championing were Islamists opposed to the attempts by MBS to modernise Saudi economy and society. Throughout the supposed ‘Arab Spring’, the West bought into the fallacy that opposition to Arab authoritarianism indicated a burning desire to establish democracy and human rights. In too many instances it meant instead a desire for the freedom to destroy freedom through implementing totalitarian radical Islam. USA Today reports that Khashoggi was friendly with al-Qaeda leader Osama bin Laden, a fellow Saudi. After bin Laden’s death in 2011, Khashoggi tweeted that he ‘collapsed in tears’, saying the architect of the 9/11 attacks had been ‘brave and beautiful in Afghanistan’ before he ‘succumbed to anger’ at the West years later. Khashoggi’s Islamist ties indicate that his opposition to Saudi Arabia’s present course was not necessarily born from a desire for democratic reform. His objections could have emerged from a resentment that MSB was not Islamic enough. The Islamist Erdoğan is busy forging strategic relationships with Russia and China, and attempting to work around sanctions against his ally Iran. It helps his purposes to weaken Saudi Arabia by convincing the western press that Saudi Arabia is the most malevolent threat in the region. By putting pressure on Saudi Arabia over the Khashoggi incident, Erdoğan is hoping to fracture Saudi’s relationship with the West, particularly the USA. Khashoggi has become a pawn in a power struggle over regional leadership. It is remarkable how little Turkey’s appalling human rights record is discussed in this context. Under Erdoğan, dissent is being ruthlessly suppressed. When it comes to journalists, Turkey has no moral objection to resorting to imprisonment. Turkey jails more journalists than any other country in the world. Such are the levels of duplicity in this whole affair that it is doubtful if we will ever learn the truth of what happened, and just as importantly, why.